Never fear! The creators and vendors of the event got together and are creating polishes available for sale to everyone before the Con! How cool is that? The releases are done weekly on Sundays at 8am Central and run through the following Saturday. 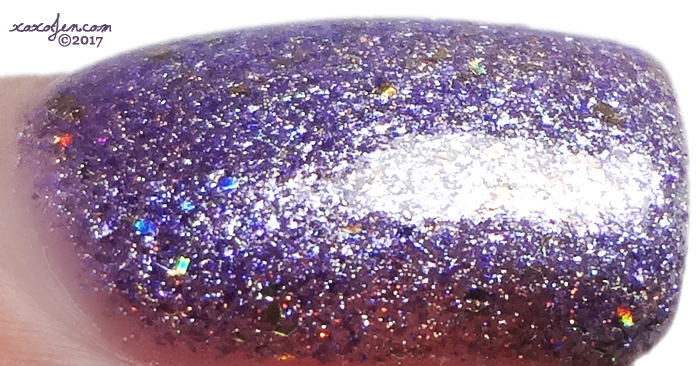 Wonder Wheel is a sky blue polish with pinkish-purple micro flakies, small gold flakies and holo flakies. 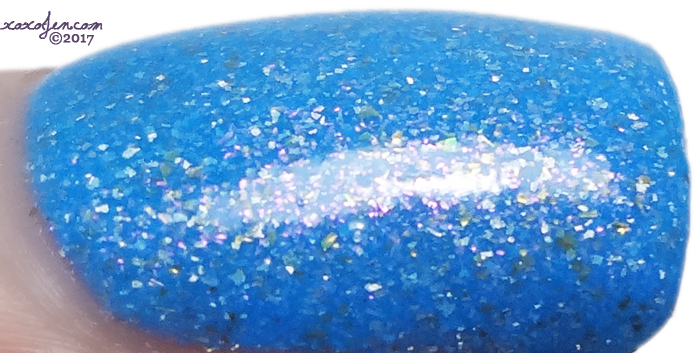 This polish was inspired by the ride of the same name at Coney Island. I wore two coats with topcoat. This was a little on the thick side, I added some thinner to get to my preferred consistency. 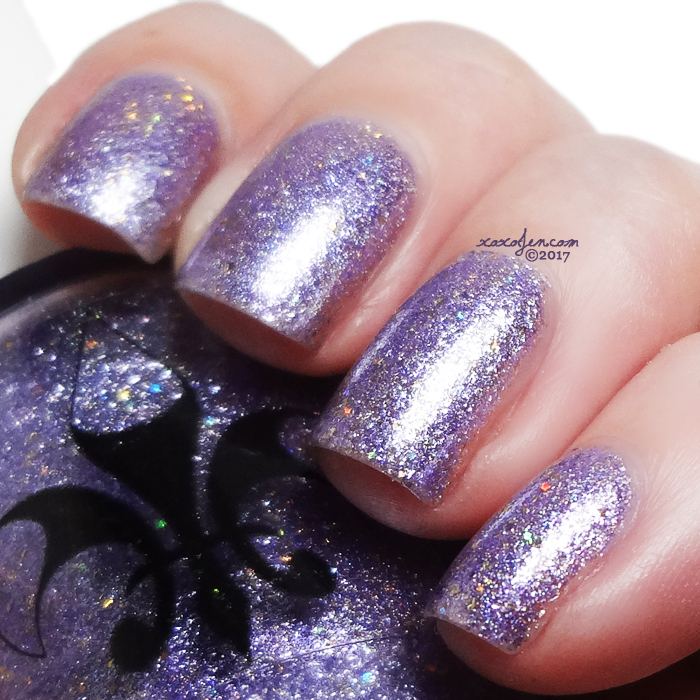 A super sparkly lilac filled with holo, iridescent, and metallic shimmers and glitters. Such a stunner! I wore two coats and topcoat. Applied evenly, no dragging or streaking. I hope you've enjoyed the review and photos - grab yours Sunday morning after 8am Central over at http://polishconvention.bigcartel.com/products - don't delay, they'll be pulled down on Saturday night! These are some pretty colors.